TICKETS AVAILABLE – due to high demand, we have added a 4:00 PM train on Saturday, December 22 ! 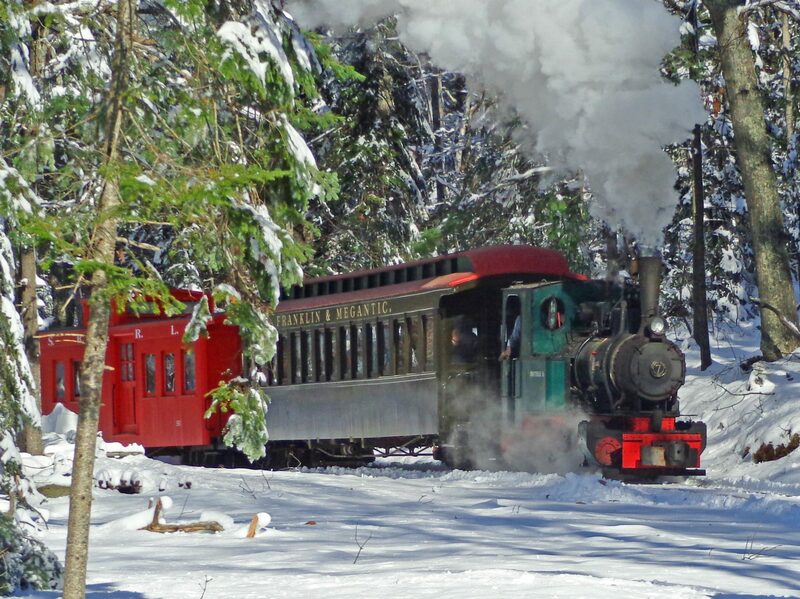 On Saturdays and Sundays, December 8th, 9th, 15th, 16th, 22nd & 23rd the Boothbay Railway Village will be running the “North Pole Express!” Departures will be at 11:00 am, 12:00 pm, 1:00 pm, 2:00 pm & 3:00 pm with a 4:00 pm on Sundays. Purchasing tickets in advance is highly recommended to avoid disappointment or long waits. Advance sales are open to Museum Members (call the Museum to verify your membership is current and get the access code! ), general public on October 1, 2018. Start your trip inside historic 1912 Freeport Station (the main train station at the Museum) by writing your letter to Santa by the warmth of the wood stove. A limited number of First Class seats are available on each train. First class ticket holders will enjoy the Victorian splendor of the restored Franklin & Megantic Coach No. 2. The coach was originally built in 1903 and it embodies the typical travel of the era with its plush walkover seats and mahogany interior. Guests in First Class will also receive a keepsake for their family. Weather permitting, the exhibits on the Museum’s lower campus will be open for exploring. Be sure to check out the vintage holiday display inside Harrington House which will be decked out in 1940s style. The grounds and activities will be open from 10:30 am – 4 pm on Saturdays, and until 5 pm on Sundays. Activities may be enjoyed before or after your train ride. Although the Museum is very pet-friendly the rest of the year this is one event where we suggest that your four-legged family members stay home. Tickets are non-refundable. If you do not show up on the date and time of your ticket we will automatically issue you a voucher for an equivalent number of visitors to come to the Museum during our regular operating season from late May – October of 2019. If you know in advance that you cannot attend, you may call the Museum at 207-633-4727 between 10 am – 4 pm Monday – Friday to request an alternate date or time. We will do our best to accommodate your request based on availability. No changes can be made through Instant Seats or after 4 pm on the Friday before your ticketed time. If we are not able to reticket you, a voucher for an equivalent number of visitors to come to the Museum during our regular operating season from late May – October of 2019 will be issued. not assigned. Seats within each class are first come, first served. 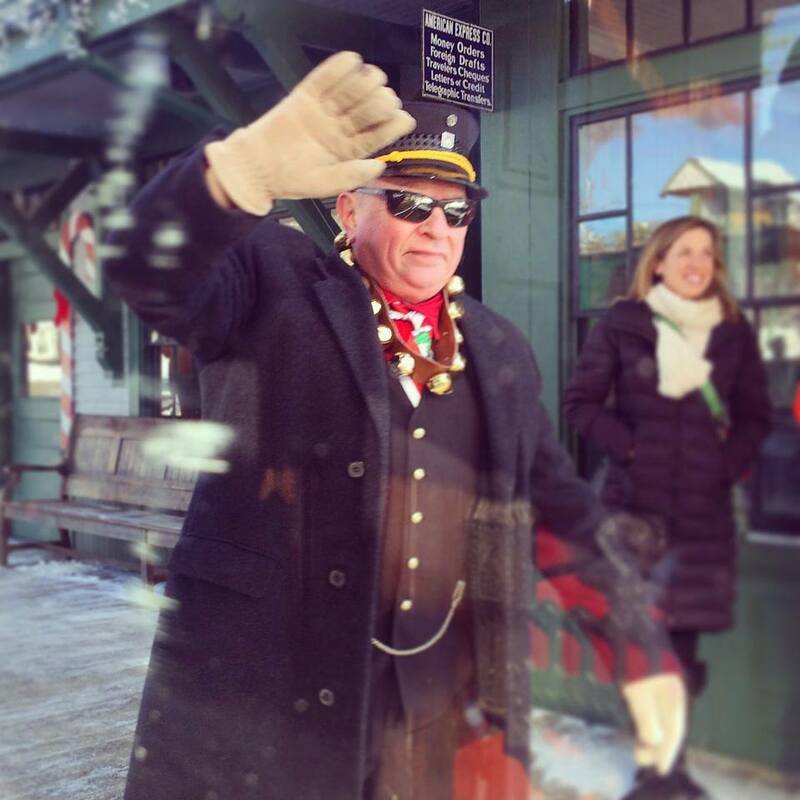 The train ride and meeting Santa is only one part of a North Pole Express experience. It lasts approximately 40 minutes but we recommend allowing 1 ½ hours or more to do all the other activities. Passengers should arrive and be ready to board the train at least 15 minutes prior to your ticketed departure time. The North Pole Express leaves right on time. The grounds and activities will be open from 10:30 am – 4 pm on Saturdays, and until 5 pm on Sundays. Activities may be enjoyed before or after your train ride. Trains operate during all weather conditions, but we reserve the right to postpone or cancel any train ride in extreme situations. Should that happen, cancellation information will be available on the Instant Seats website, on the Boothbay Railway Village website and Facebook page, and we will send an e-blast to all affected ticket holders. If the Boothbay Railway Village cancels a train, ticket-holders will receive a full refund or may request re-ticketing for different date or time, based on availability. Please note that processing & handling fees are not returnable. The Museum’s address is 586 Wiscasset Road in Boothbay, Maine. We are located directly on Route 27 about 8 miles south of Route 1. Please allow plenty of travel time. Your ticket is for a specific train departure time but you may choose to enjoy the other activities before or after your ride depending upon your families preference. Trains depart on time and cannot be held for late arrivals. Unfortunately, there are no refunds or exchanges. The Boothbay Railway Village is not responsible for travel delays caused by accidents, road closures, road constructions, weather, etc. If you miss your train you are welcome to enjoy all the other holiday themed activities included with your ticket. If we have availability, we will do our best to find space for your family onboard a later departure. Our caboose can accommodate wheelchairs. Be sure to order Standard tickets and give us a call once you place your order so we can make a note to have the ramp ready for your departure. 33rd Annual Harbor Lights Festival featuring the lighted boat parade! 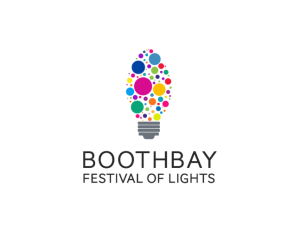 To learn more about how to light up your holidays in the Boothbay Region visit www.boothbaylights.org.